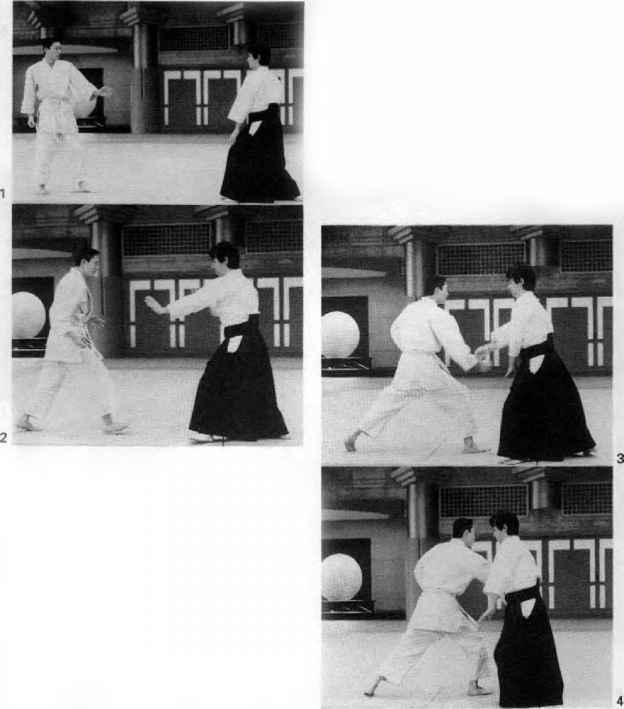 Uke delivers a thrust to torts stomach with his right fist. 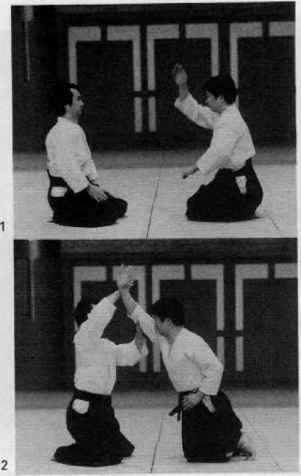 Tori slides forward on his front leg to avoid the attack and rotates his right arm counterclockwise beneath uke's right arm. 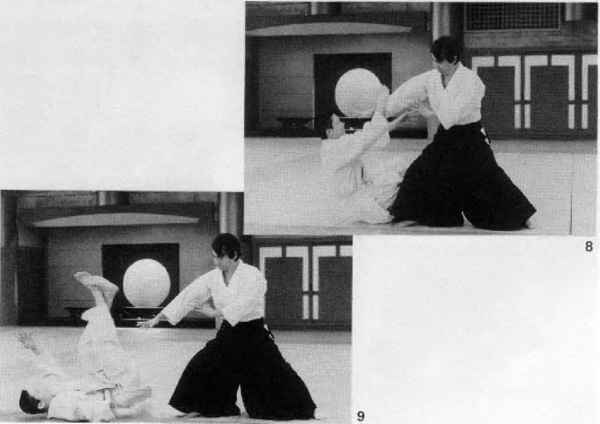 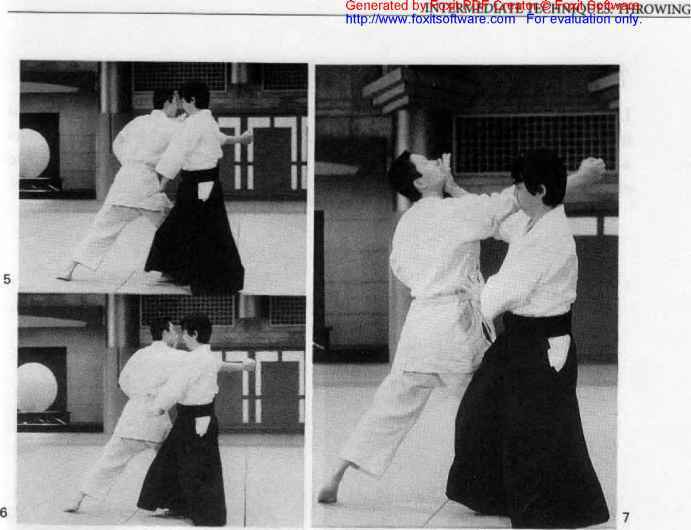 Tori then thrusts toward uke's chin with his right hand, takes a wide step in with his right leg, and pushes downward to effect the throw.